4. In ancient times, a King had a boulder placed on a roadway. Then he hid himself and watched to see if anyone would remove the huge rock. Some of the Kings' wealthiest merchants and courtiers came by and simply walked around it. Many loudly blamed the King for not keeping the roads clear, but none did anything about getting the stone out of the way. Then a peasant came along carrying a load of vegetables. 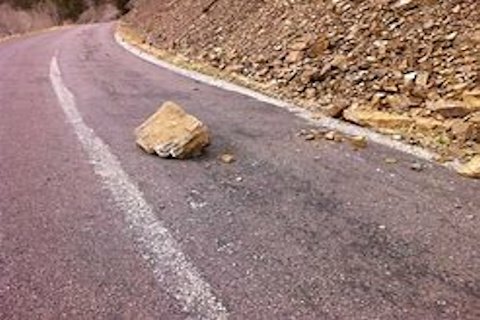 Upon approaching the boulder, the peasant laid down his burden and tried to move the stone to the side of the road. After much pushing and straining, he finally succeeded. After the peasant picked up his load of vegetables, he noticed a purse lying in the road where the boulder had been. The purse contained many gold coins and a note from the King indicating that the gold was for the person who removed the boulder from the roadway. The peasant learned what many of us never understand! Every obstacle presents an opportunity to improve our condition.